Our harness is a refined accessory of natural leather for your small dog or puppy. 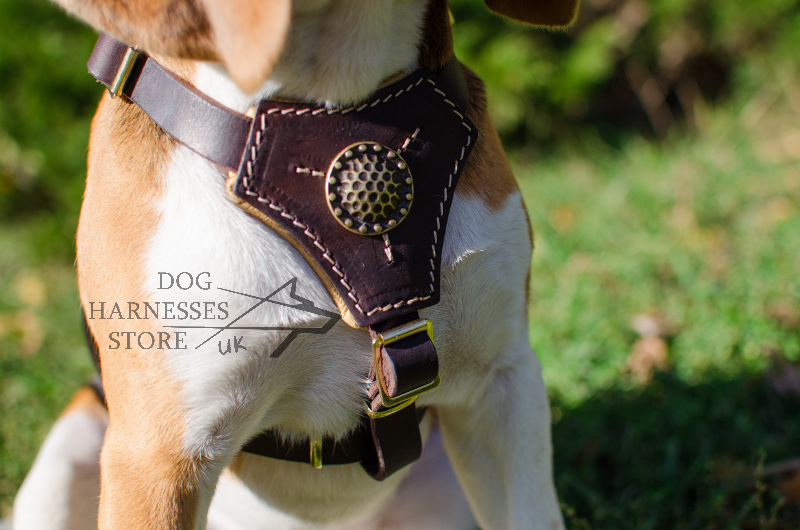 Chest plate is padded with soft Nappa for dog comfort and is decorated with brass brooch for royal look. 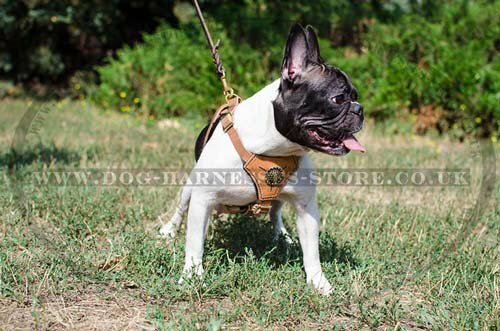 White thread stitching adds this small dog harness additional durability and style. 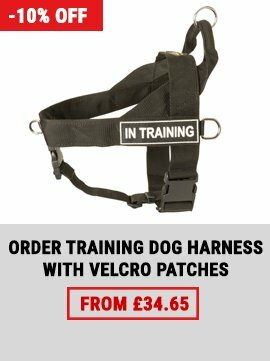 This harness doesn't break damage to locomotor system development and also protects the dog's neck area from getting affected. This royal dog harness is perfect for puppies and small canines! 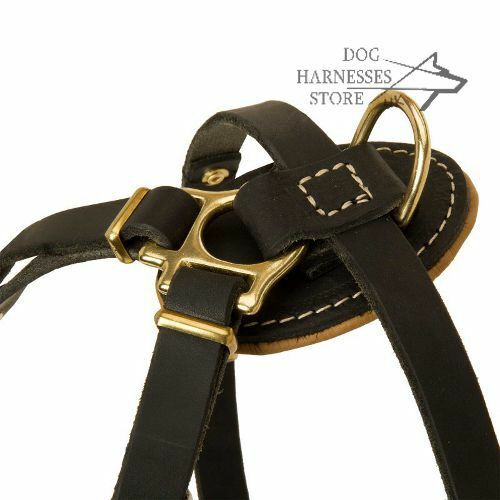 This luxury leather dog harness is produced in black and brown leather, if you want this harness in tan leather, we can make it for your order. 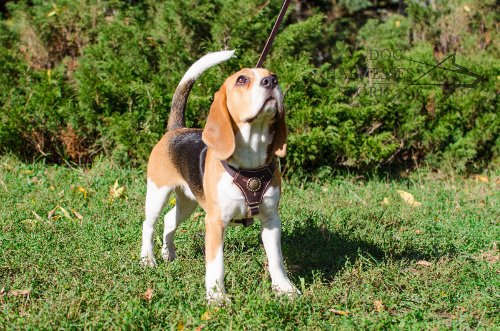 The harness is light-weighted, soft, comfortable and adjustable. The hardware and decor are resistant to corrosion. 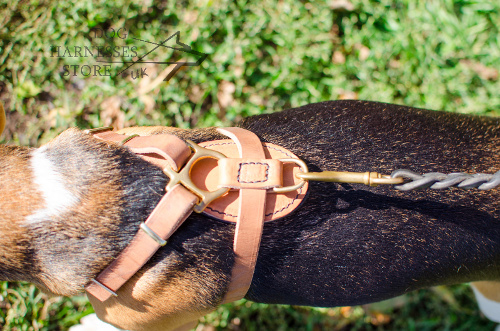 We also equipped this harness with quick-release buckle for easy putting on and taking the harness off. 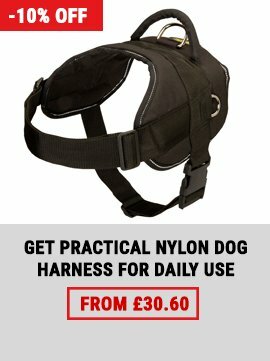 It's an excellent model for your little dog! All feedbacks are genuine, they come from our shoppers' letters. 1. Here is the promised picture of my dog with the bought harness. Thanks a lot one more time! Best Regards! I would like to thank you for my order. 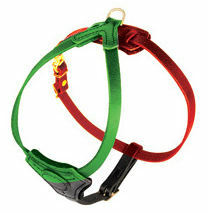 The harness and lead arrived when stated. It looks great and it looks great and comfortable on her. 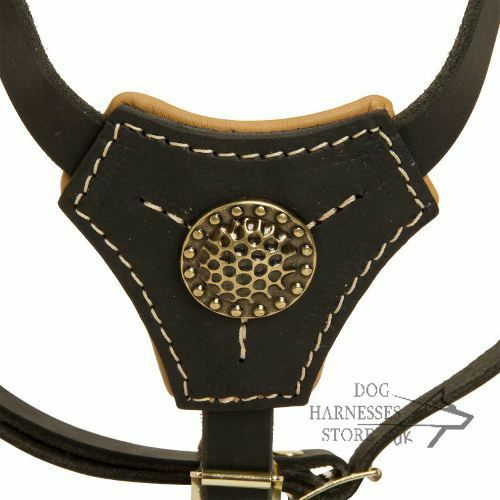 Is there a way of sending a photo of my dog with this gorgeous crafted harness to you. Best regards. 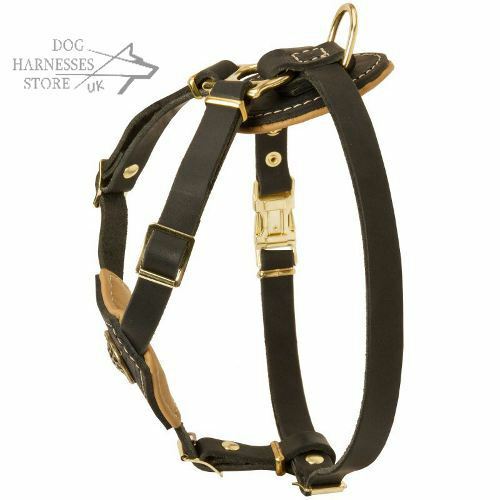 Hi have just received this gorgeous crafted harness and lead for my spainel well within the delivery specified. 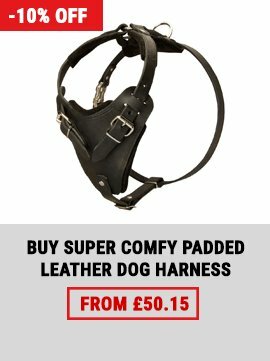 I am very pleased and have a happy stylish and most importantly comfortable and under controlled dog.